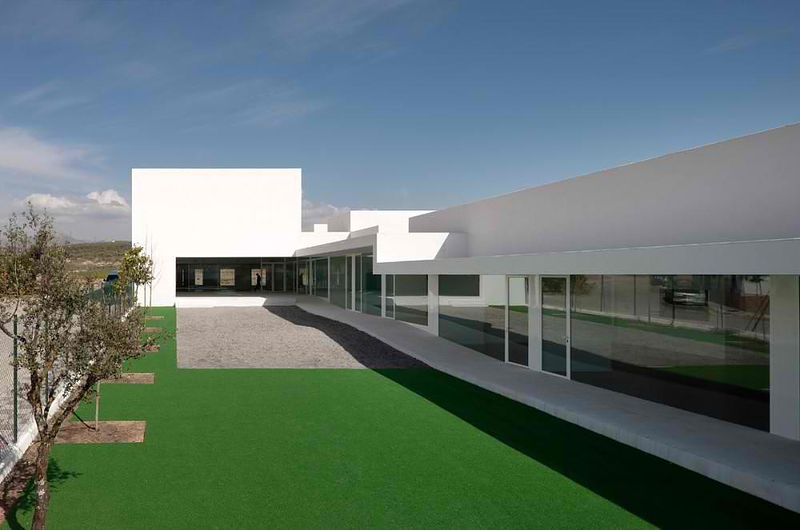 HomeBlogArchitectureEducational Centre in El Chaparral by Αlejandro Μuñoz Μiranda. 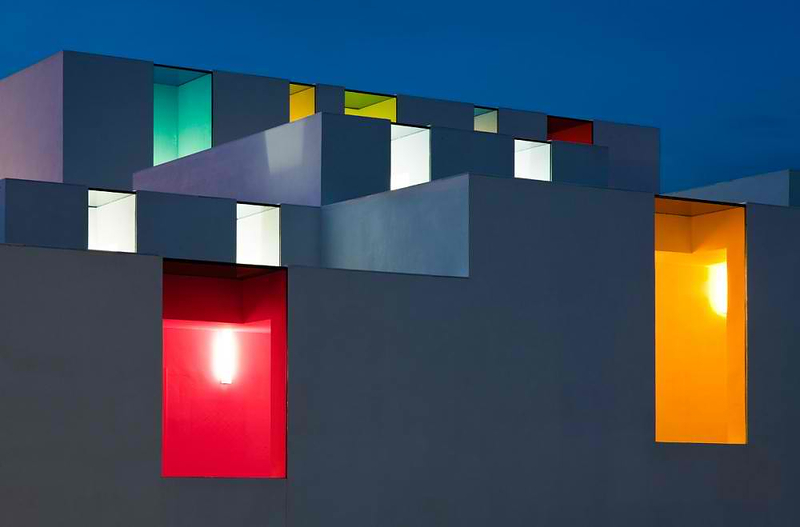 This impressive looking building is located in El Chaparral, Granada, Spain and is actually a kindergarten. 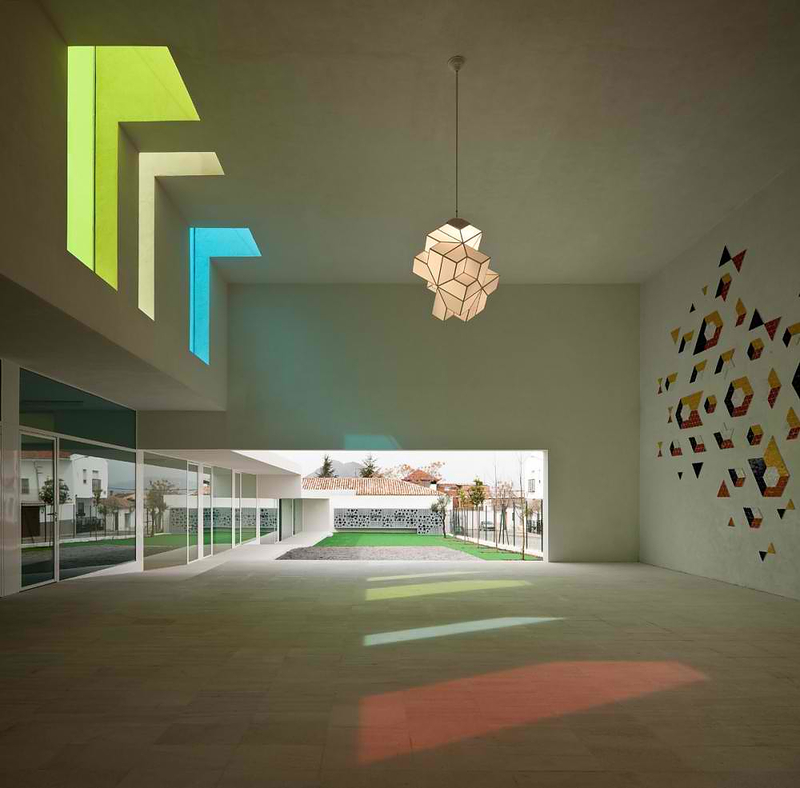 The Educational Centre in El Chaparral was designed by Spanish architect Αlejandro Μuñoz Μiranda and the project was commissioned by the Town-Hall of Albolote and was completed in 2010 with a total budget of 617.000 €. 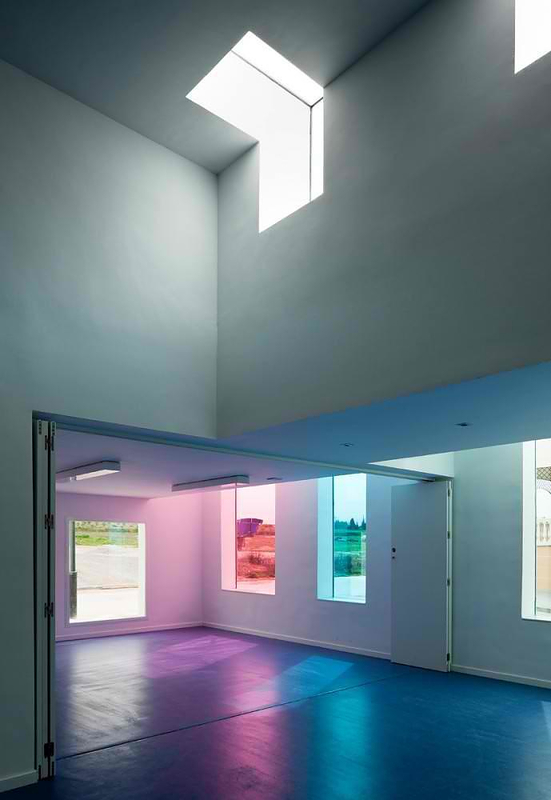 The structure of the building consists of walls and a ceiling with a variable section, these elements create a sequence of compressed and decompressed spaces. 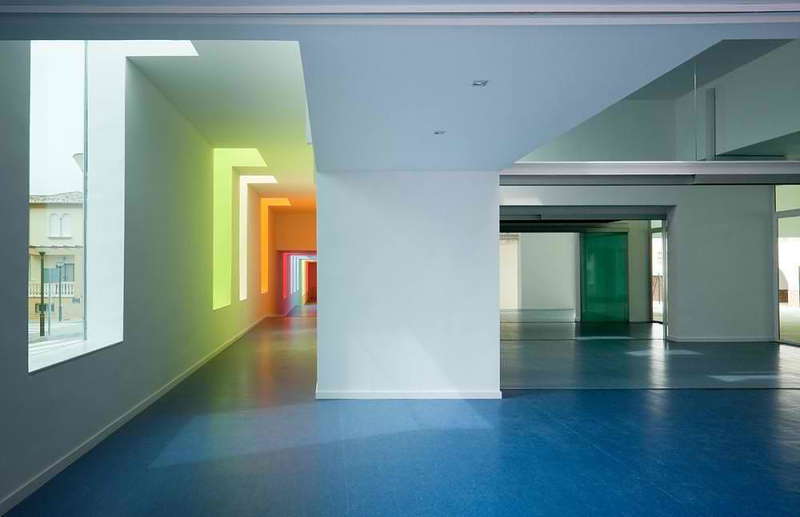 Open spaces such as classrooms are placed right after more narrow spaces such as corridors, creating a game of different volumes. 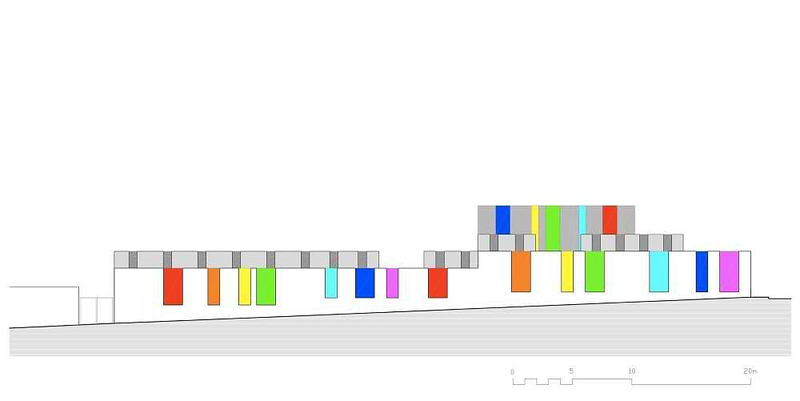 This compression-decompression game works for both longitudinal and transversal space sequences, thus giving the building a unique playful style. 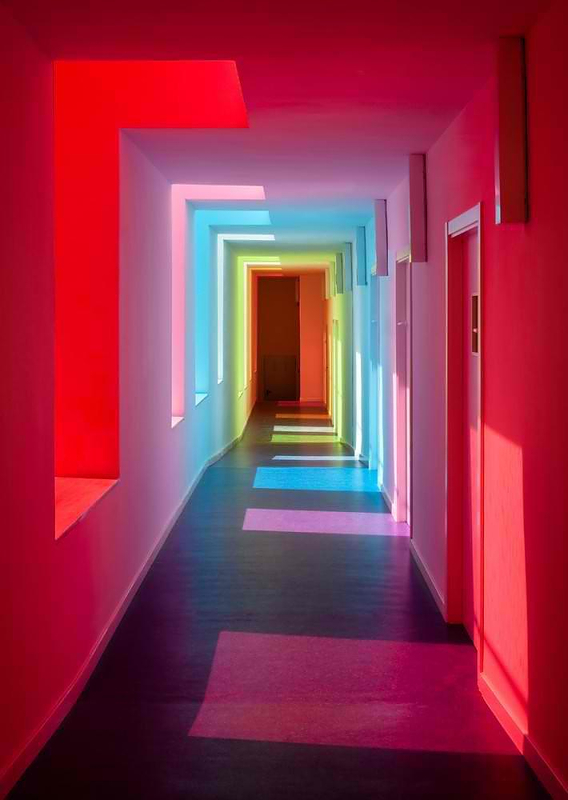 However, the element which adds the character and identity of the building are the asymmetric colored windows, which provide ample lighting and fill the building with colorful bright patterns. 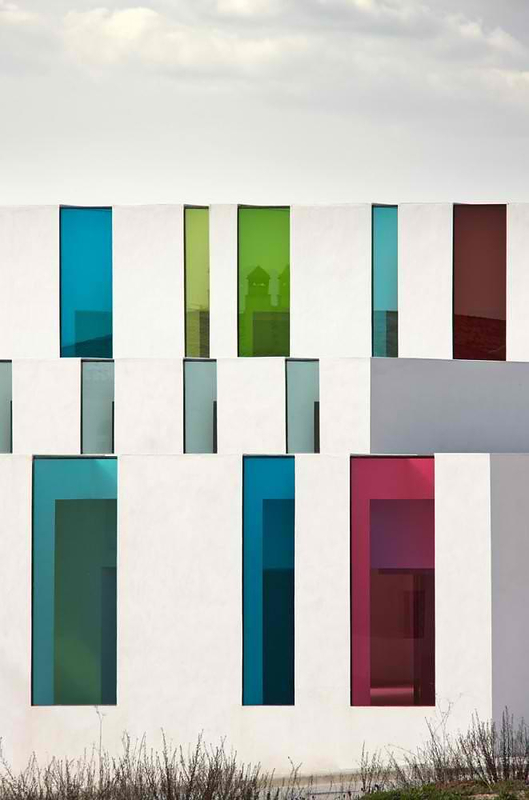 The movement of the sun and the longitudinal slope of the plot are responsible for the changes of colors, which create a joyful and modern image. 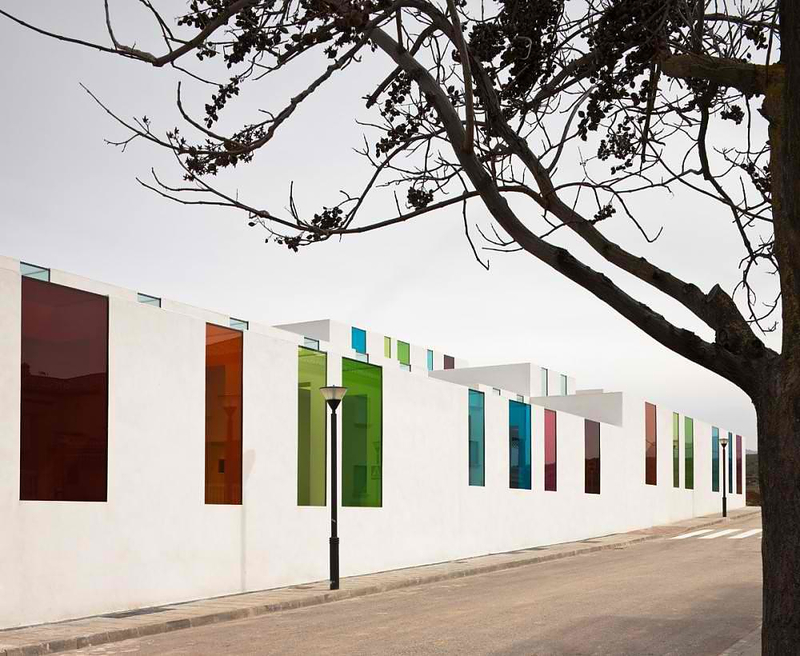 The rainbow colored bright interior is majestic and will surely make even the grown-ups want to go back to school. 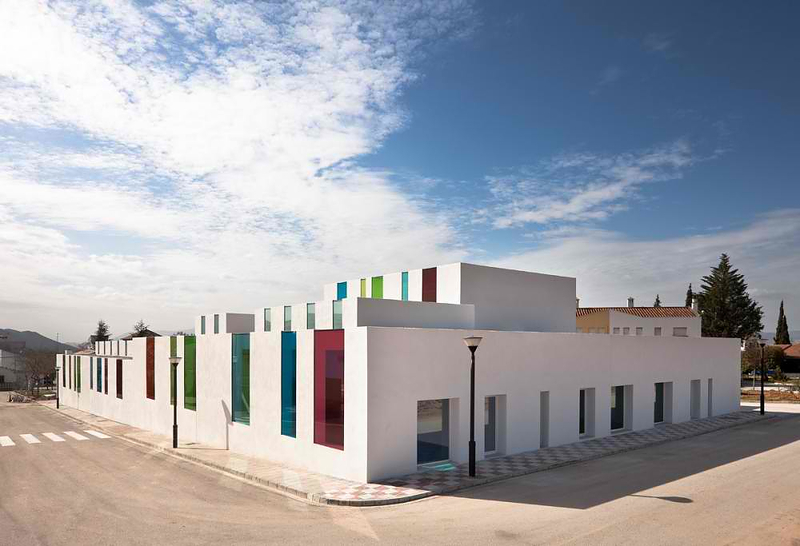 The Educational Centre in El Chaparral by Αlejandro Μuñoz Μiranda is also a very versatile building. It has two classrooms for children from 0-1 year with bedroom, two classrooms for children from 1-2 years with bedroom and three classrooms for children from 2-3 years without bedroom. In addition to classrooms it also has an outdoor playground, a dining room, a kitchen, administrative offices and a fully equipped gym, all closely linked to the main corridor. 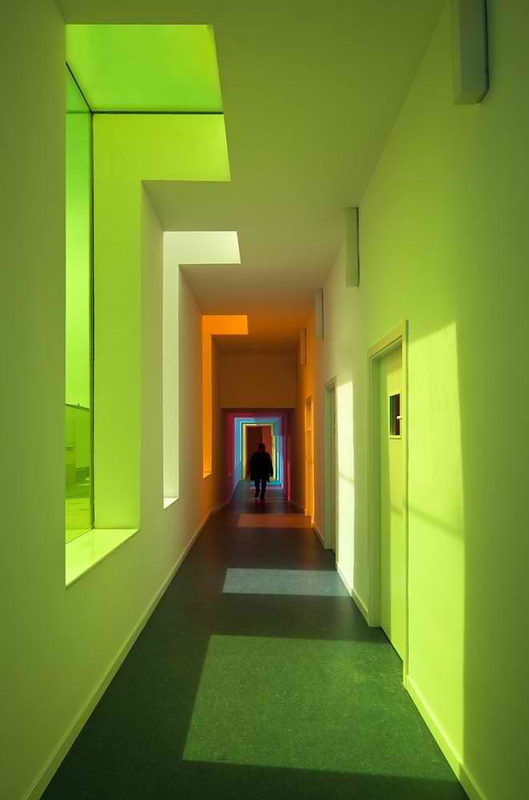 Now that is what I call a modern school.